A new roof or mending the old roof, whichever it is, is a major investment and a work done in hurry might result in expensive roof repairs and leaks in future. Hence it’s important to get the work done properly to avoid any such instances. Finding the legitimate contractor who can ensure the work to be done well can be a daunting task. And ignoring the labor of proper research may push you down into the ground with the extra expenses burdening you, that will breathe due to your negligence. Finding the right roofing contractor is a key to your every problem. A contractor who promises to complete the work fastest and cheapest may seem a good alternate but they ain’t always the best choice. Before hiring a roofing contractor, there are some questions that you should deliberately emphasize on, for a matter of fact a good research is always recommended before doing any major work that includes investment: Hence here’s the checklist that you should always follow. Are you licensed? I hope you knew that roofing services are a regulated industry and not everyone is qualified to do the job. Hence, the roofing contractors are verified as legitimate by the licensing authority with a proper license. Keep in mind that every state have their own codes and that may vary depending on the governing authorities. Now, you have to find a contractor who works according to the local standards of your state, if they don’t follow the local codes then it’s better to find one who does. Ask for their references and cross check them: Every contractor must have a list of past clients and references of their work and a good contractor won’t deny to show them to you. They won’t share the intimate details but unidentifiable images and feedbacks can share, ask your potential contractor if they have something like that and if they can share it with you. This will give you an idea of the kind of work that you’re going to get from your prospect. Talk to your neighbors and ask for references of their recommended contacts. Are there subcontractors involved? Most of the contractors work with subcontractors to complete their work. This kind of arrangements work for the contractors but for the client things get messy. Ask your contractor if the entire work will involve any subcontractors, if yes then do some research on them too and verify their legitimacy. The problems that arise is contractors provide insurance for their work but the case might not be same with the subcontractors. Do you give warranty of your work? Substantially, you need to check whether you will be covered if an issue emerges during the roofing work. 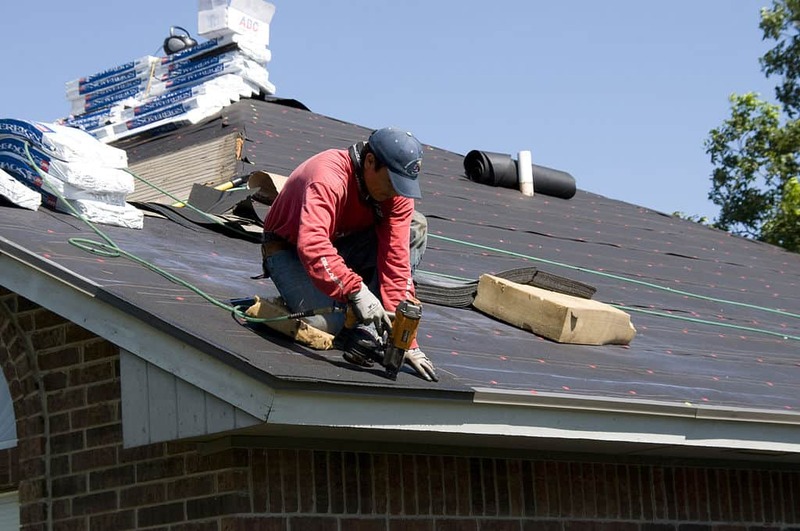 You’re investing a huge amount of your money on the roofing work and you must be concerned with the warranty, mainly the manufacturer’s warranty and the contractor’s warranty. The manufacturer’s warranty should cover the product defect and the contractor should cover the defect the quality of work. If they don’t do so, it’s better to find a legitimate roofer who does so. Give me the exact estimate on paper: Finally, when all the questions have been answered, the time comes for the most important question, “can you share the estimate on paper?”. Most of the times, the contractor’s share a different quote but charge you a different quite at the time of payment. Hence, it’s recommended to get the quote on paper to have a documented proof whenever required.